In memory of my uncle, the Yiddish scholar Dr. Mordkhe Schaechter (1927 – 2007), whose yortsayt was last week, we present two short children’s dance songs from Eastern Galicia, from the town known in Yiddish as “Yigolnitse” and today in Ukrainian as “Yahilnytsya” (also written at one time as “Jagielnica, Yagielnitse”), 6 miles from Chortkov. 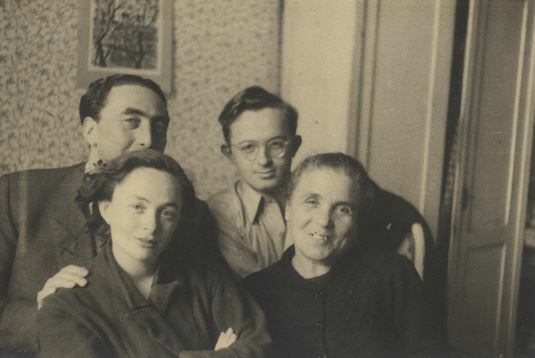 In earlier posts on YSW of Schaechter’s songs, we told of his collecting folklore in the displaced persons camp in Vienna 1947 – 1950. This post is also part of that project done for YIVO. A couple of words are unclear: “oltazhe” and “ketse” and David Braun and Janina Wurbs offered suggestions on these words and others. Some are footnoted at the end of the song. Any further clarification from our readers would be appreciated. In the second song, Schaechter uses the girl’s name “Beyltsye”, his sister’s name, but one is supposed to insert any name at that point in the song. About this second song one can honestly say – you lose much in the translation. It incorporates German words (Galicia was Austra-Hungary after all) perhaps for comic effect. 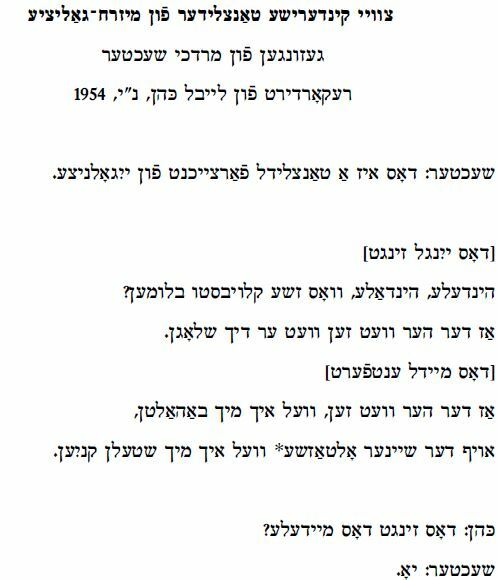 Leybl Kahn informs us in the recording that it was printed in an issue of the Seminarist (in the early 1950s) so once that is found, more information on the song might come to light. Schaechter: This is a dance song from Yigolnitse. why do you gather flowers? vel ikh mikh shteln knien. Kahn: Dos zingt dos meydele? The girl sings this [the second verse]? Kahn: Dos iz fun Yigolnitse, mizrekh-Galitsye? This is from Yigolnitse, Eastern Galicia? Schaechter: Yo… dos iz nisht vikhtik…a Yigolitser mizrekh-Galitsyaner tantslid. Yes… whatever…..an Eastern Galician dance song from Yigolnitse. Kahn: Dos lidl iz gedrukt inem “Seminarist”, aroysgegebn funem Yidishn lerer-seminar. 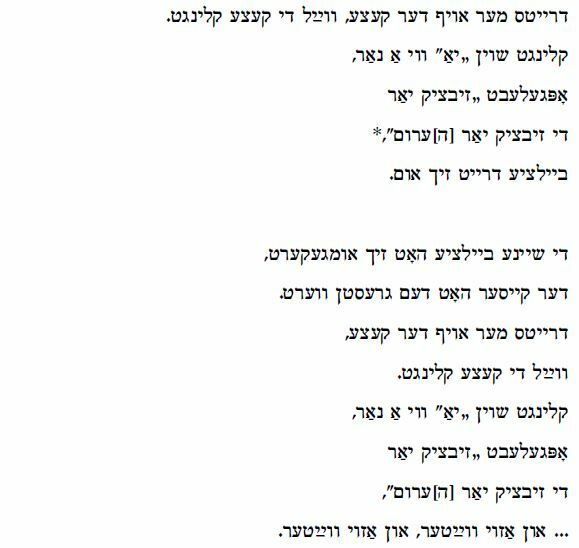 This song was published in the “Seminarist”, published by the “Jewish Teacher’s Seminary”. der keyser hot dem grestn vert. The pretty Beyltsye turned around. The emperor has the greatest worth. Schaechter: Un azoy vayter, un azoy vayter.